When taking your Wrangler TJ out on the trails make sure you have protection for your rocker panels. Westin's Trailblazer Rocker Guards can come up big when rock crawling among other things you might try out while off-roading to help keep you Jeep dent free. Made from 2" diameter cold rolled steel tubing these rocker guards give you ultimate protection while navigating the trails in your Jeep. Protection: Protects your rocker panels from dings and scratches you my encounter while rock crawling or other off-road activities. 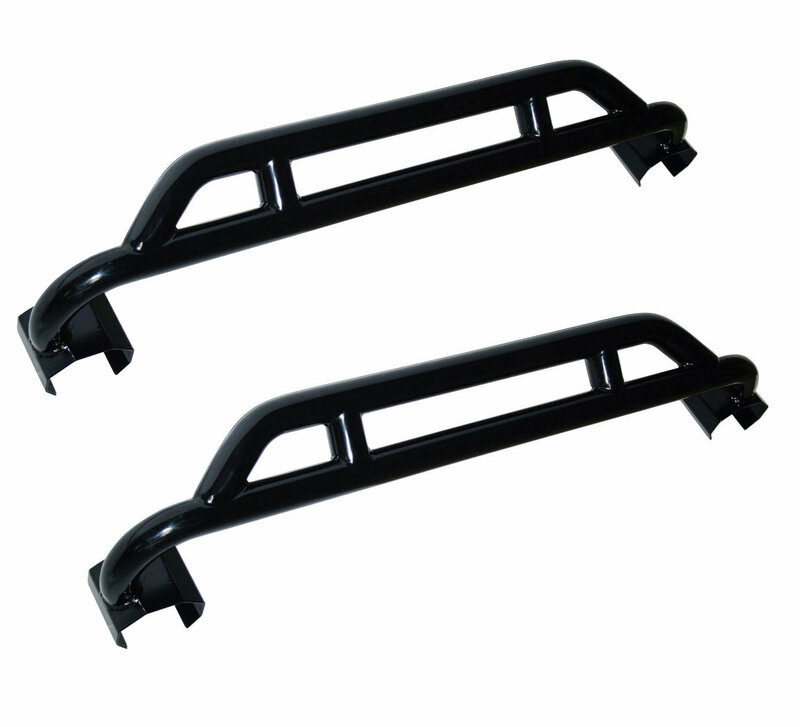 Construction: Made from 2" diameter cold rolled steel tubing giving you a sturdy rocker guard that will last a long time while protecting your Jeep. Coated in a black powder coat to prevent rust from outdoor elements.